Novak Djokovic scored a 6-3 6-1 6-2 over Tennys Sandgren in his first-round match at Wimbledon. This was an impressive way to kick off his challenge for a fourth title at the All England Club. Djokovic was clinical against Sandgren who was making his Wimbledon debut and who had played only one Tour match on grass prior to arriving in London. Watch shots of the day as Alex De Minaur, Gael Monfils, Tenny Sandgren and Jack Sock produce the winners in second-round action in Indian Wells 2018. Watch Fabio Fognini turn defence into offence against Tennys Sandgren in the second round of the Rio Open in this hot shot. 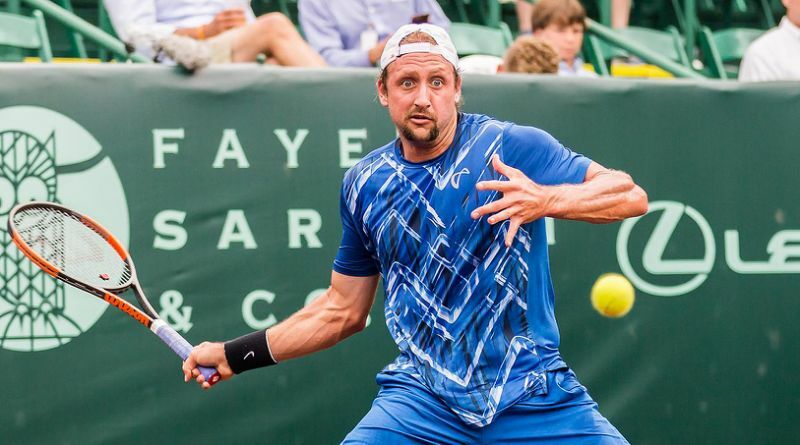 Want to hit a forehand like Tennys Sandgren? The American can show you how. Sandgren walks through his forehand motion in between matches at the Rio Open. Match highlights from Jeremy Chardy vs Tennys Sandgren at Australian Open 2018 in round one. 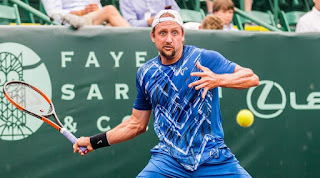 Tennys Sandgren discusses how his experience on the ATP Challenger Tour has helped him break through with two Top 10 victories at the Australian Open en route to the quarter-finals. Keeping up with his studies and transitioning from Futures to beating Stan Wawrinka en route to R4 of a major, get to know the last American man standing at Melbourne Park. 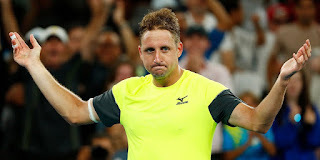 Tennys Sandgren’s run to the quarterfinals of the Australian Open ended with a straight sets to Hyeon Chung. Earlier in the week, Tennys was asked pointed questions about his Twitter account, which featured many likes and responses to controversial alt-right figureheads like Mike Cernovich and Alex Jones. Sandgren denied that following or responding to such accounts was a tacit endorsement, even if some of his responses to tweets concerning transgender rights and black and Muslim-Americans seemed to prove otherwise. Watch a trio of stunning defensive digs from Day Two at the Tiburon Challenger, as Americans Evan King, Tennys Sandgren and Tim Smyczek earn Hot Shot honours. Tennys Sandgren talks about advancing at Nick Kyrgios's expense, after the Aussie retired mid-match with a shoulder injury at the Citi Open on Wednesday. 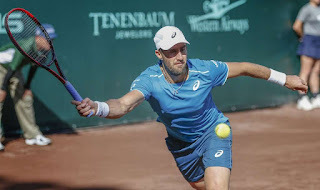 Tennys Sandgren was moved into the main draw for the tournament when Yoshihito Nishioka withdrew to continue his recovery from a knee injury. Nishioka was injured in March while playing in the Miami Open. Sandgren, ranked No. 106, will be making his U.S. Open main-draw debut. He lost in the first round of the French Open in what was his first appearance in the main draw of a Grand Slam.